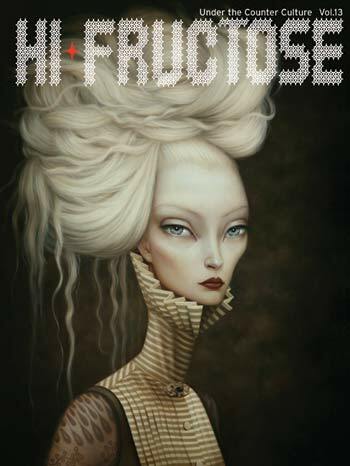 Hi-Fructose Magazine has long been a favorite here at AM headquarters, their refreshing take on contemporary art and culture is one administered with a keen eye, airtight writing and some of the most dynamic and compelling artwork from a vast variety of genres. 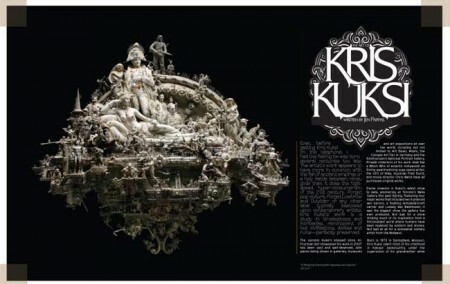 Volume 13 looks to be no exception with interviews and features from a multifarious and eclectic collection of artists, including Lori Earley, Kris Kuksi, Dave Kinsey, Eric Fortune and more…..
Hi-Fructose Volume 13 is currently available at your local bookseller or online through their store. Some layout images after the jump. Categories: Art, Contemporary Art, Low Brow & Pop Surrealism. 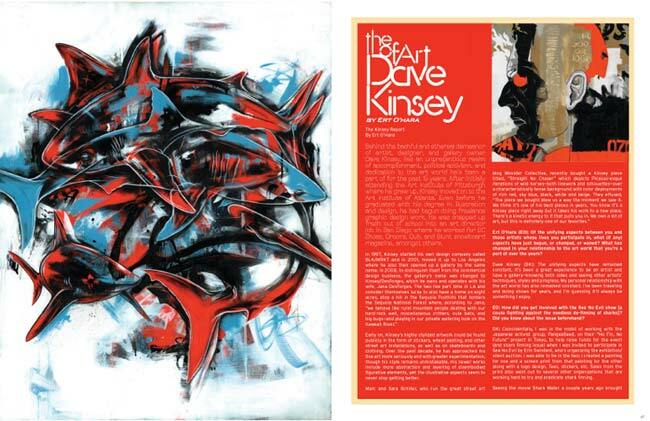 Tags: Contemporary Art, Dave Kinsey, Hi Fructose, Kris Kuksi, Lori Earley, Low Brow & Pop Surrealism, Publications.